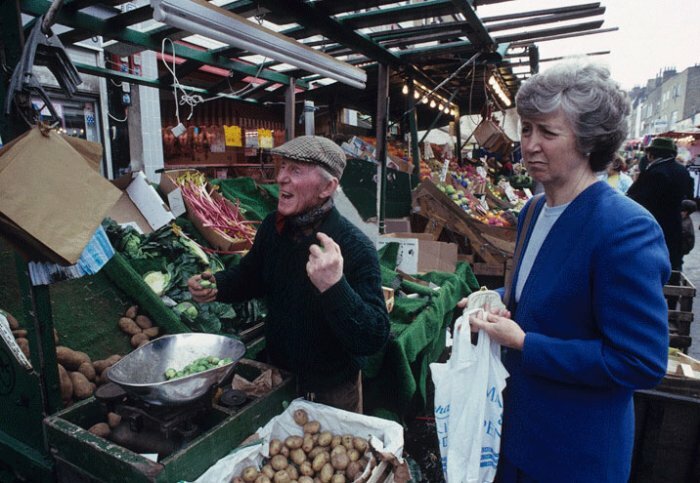 Bobby Redrupp and customer, Chapel Market, 1990. © David Secombe. She’s hanging on. I go to lunch. with its display of candyfloss-pink chairs. that Superman has lost his fight for life. and cyclamen in a new shade of purple.